Since early 1999 it has been the policy of the United States to endorse a political solution to the territorial dispute over the region commonly known as Western Sahara. 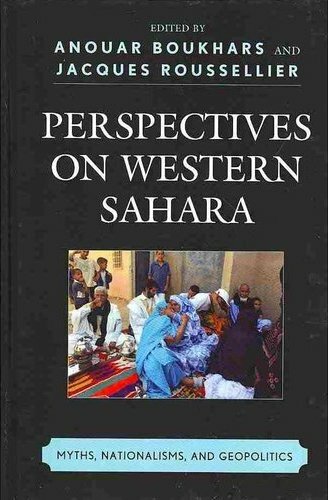 My colleague, Ambassador Ed Gabriel, and I have written about this policy decision at some length in an article that appears in a recently released collection of essays entitled “Perspectives on Western Sahara” published by Rowman and Littlefield and edited by Anouar Boukhars and Jacques Roussellier. Both Ambassador Gabriel and I participated in the interagency policy review process in Washington that decided this shift in US policy. Prior to that decision, US policy had been neutral concerning any particular outcome to the dispute and supportive of the 1991 UN proposal to conduct a referendum on the future of the territory to decide whether it should become fully integrated with Morocco or an independent state. The US abandoned this policy in early 1999 and instead opted for a less than neutral position favoring a political solution. I say less than neutral because a political solution inevitably means a political compromise and some definition, that is, some particular and specific ideas of what such a compromise should entail. The basic element of any political compromise means that neither party will be able to achieve its optimal objective. In practical terms, this means that the Polisario Front and their supporters in Algeria will need to relinquish the goal of creating another independent state in the Sahara. It also means that Morocco would need to relinquish its original objective of simply integrating the territory into the Kingdom. More than that, the only reasonable and viable political compromise available to resolve this dispute and deny both parties their optimal preference is some arrangement where both sides gain what is essential to their cause, but accept that neither can demand everything they might otherwise prefer. There is only one basic compromise that meets this requirement and that is the formula that was embraced by the United States. It is not a neutral policy position because it inevitably endorses a particular formula for a preferred outcome. By this formula, Morocco would retain the essential ingredients of sovereignty in the territory, but allow a substantial and robust autonomy to the population of Western Sahara to govern their own local affairs in peace and dignity. The details need to be settled among the Parties, but within the broad parameters of what the international community will accept as a legitimate and robust autonomy. As we explained in our article, Morocco eventually, though not without some serious soul-searching, embraced the idea that a fundamental political compromise was necessary to resolve the dispute and also eventually accepted that the only reasonable way forward was this kind of sovereignty/autonomy trade-off. The UN Security Council also eventually followed the US lead on this question and dropped the idea of any winner/loser referendum, opting instead for the same win/win formula inherent in the notion of a “mutually acceptable political solution.” Unfortunately, neither the Polisario Front nor their backers in Algiers have been willing to accept the repeated encouragements of the Security Council that compromise is essential. The result has been a prolonged stalemate with no prospect of a resolution in sight given the pace of current meandering and sporadic negotiations where the Secretary General’s Personal Envoy is unable to count on the strong policy backing of Security Council members who have a declaratory policy favoring a compromise, but do little to support it. A hearing on Western Sahara is currently scheduled for April 9 in the House Foreign Affairs Sub-Committee on the Middle East and North Africa. 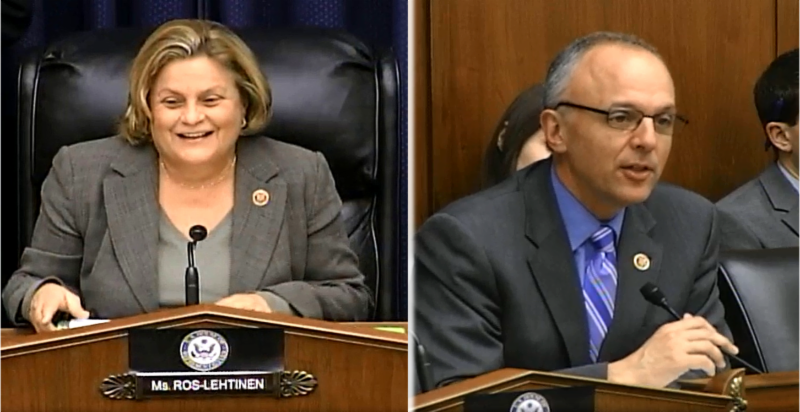 At that hearing, the State Department will again be given the opportunity to explain its policy on Western Sahara and tell Congress what steps it intends to take to support the policy it has embraced since early 1999. Congress, both the House and Senate, by large bi-partisan majorities, have been urging the Administration for the last several years to pay more attention to this issue and do substantially more to advance our policy in concrete and tangible ways. Indeed, Congress has passed legislation strongly encouraging this and written several bi-partisan majority letters to both the White House and State Department. Doing less than this will inevitably encourage those who continue to resist the need for compromise. It is time for the State Department to resolve to be a part of the solution to this problem, not an aggravating factor that continues to sustain the logjam by a lack of resolve and support for its own policy.